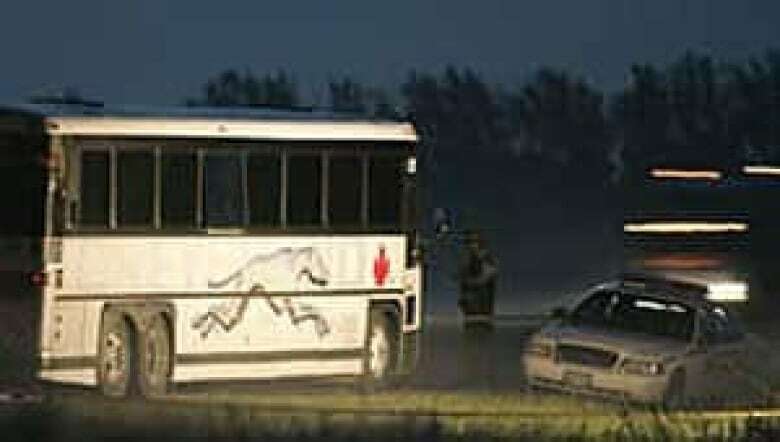 Vince Li, who beheaded a fellow passenger aboard a Greyhound bus in Manitoba in 2008, said in a special interview that he believed he was chosen by God to save people from an alien attack. 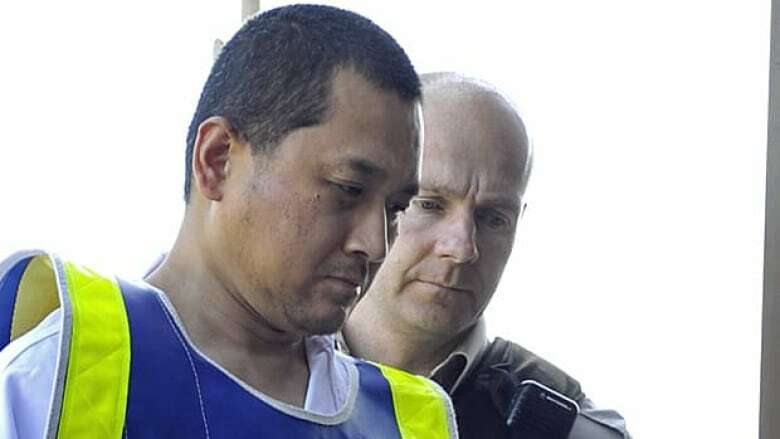 Vince Li has been living in a mental-health hospital in Selkirk, Man., since being found not criminally responsible for beheading Tim McLean in March 2009. Vince Li, who beheaded a fellow passenger aboard a Greyhound bus in Manitoba nearly four years ago, believed he was chosen by God to save people from an alien attack. In an interview granted to Chris Summerville, CEO of the Schizophrenia Society of Canada, Li talks about his struggle with the voices that led to the fatal encounter with fellow bus passenger Tim McLean near Portage la Prairie, Man., on July 30, 2008. Li, who only later understood the voice as schizophrenia, was convinced he was leading the third story of the Bible and "that I was like the second coming of Jesus." In the interview with Summerville on Saturday, Li said he feels sorry for what he did and doubts he will ever know happiness again. Li was committed to Selkirk Mental Health Centre after being found not criminally responsible of McLean's death. His story was highlighted last week when a review board ruled he can leave the mental hospital for supervised excursions. CBC News has obtained a transcript of a portion of the interview by Summerville, who said he conducted it in hopes of giving the public a more complete picture of Li and his current mental state. The mother of the man beheaded by Vince Li says the interview underscores her point that he should remain locked up. Carol de Delley said she is unmoved by Li's apology and remorse. "You're interviewing an individual who has gone through treatment and meds and come to this place where he's come to these realizations. Now you take him off those meds for a while and see what kind of an interview you would get," she said. "How's he going to cope then?" At the same time, de Delley said she is trying to forgive her son's killer. "I'm working on it. I think for the advancement of my own soul, I think that that's going to be a necessary thing," she said. "But it's an extremely difficult and a very private thing," she added. The unjustified public fears about Li will probably keep him in a mental-health hospital longer than necessary, Summerville said. The horrific nature of Li's act has demonized him in the public's mind, said Summerville. "I don't think [he will be released] anytime soon because of public sentiment," he said, adding the perception of Li is "rooted in fear and in some people, in hate and in vengeance. [People] hold a characterization of him that is just not true of him." 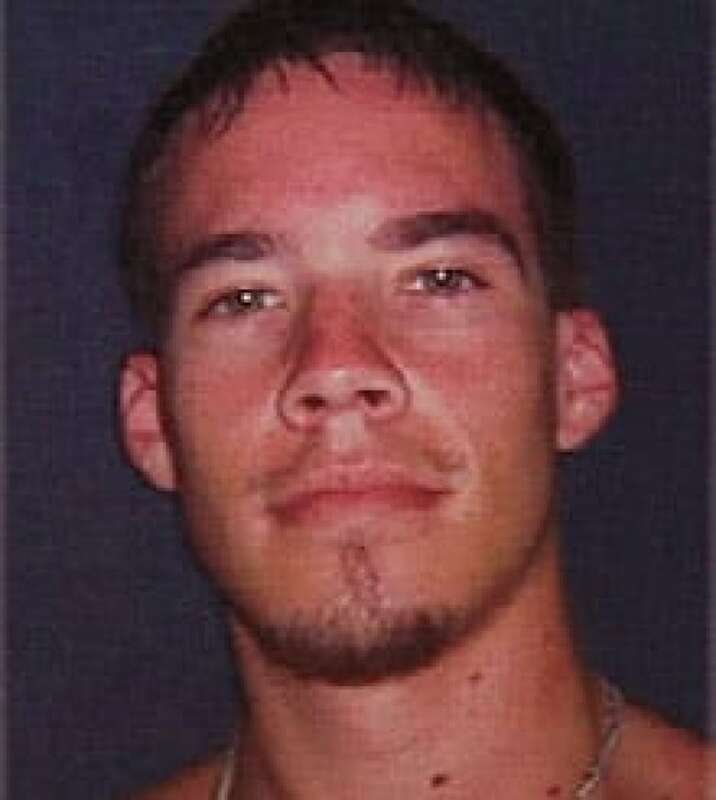 While he is not advocating Li's immediate release, Summerville said there is little public understanding of the nature of schizophrenia and its treatment with medication. On May 19, 2012, I Chris Summerville, CEO of the Schizophrenia Society of Canada, held my regular meeting with Vince Li, the person living with schizophrenia who beheaded Tim McLean. I have been visiting Li on an average of once every two months since his remand to Selkirk Mental Health Centre 4 four years ago. I have decided that Mr. Li’s story needs to be told, to add a human touch to a horrible tragedy. What we have here are two victims and two families who are victims of untreated, uncontrolled psychosis. Before I do any interview regarding the Greyhound Bus tragedy, I always ask myself, "What if it had been my 25-year-old daughter?" My sympathy to Ms. de Delley [Tim McLean's mom] and her family are real. And yet, I also ask, "What if it had been my son who had killed Tim McLean in such a ghastly and grotesque fashion?" I hope that such self-questioning softens my response to the many questions I have been asked about my personal and professional knowledge of Mr. Li. There are no easy answers to the many faceted questions that bombard both families and the media. However, I think the media has been more favourable to the McLean family, probably because public sentiment is on their side and we as a country have entered a period of "tough on crime" with little attention paid to restorative justice, rehabilitation, recovery and redemption, or the influence and role of mental illness in this particular most unfortunate incident. What follows is the result of an edited interview that took place at Selkirk Mental Health Centre after Mr. Li and I had enjoyed a Chinese meal that I had brought to him. Mr. Li was soft spoken, using simple English as English is not his first language. His answers were rather direct and succinct, revealing a person who has given much contemplation to this tragedy and "his guilt." I am a 44 years old and grew up in northeastern China in the province of Liaoning. My mother and father are still living. I have an older brother who is a businessman and a younger sister who is a secretary. They know about the Greyhounds bus situation, but my mother and father do not. My wife and I immigrated to Winnipeg, Canada in June, 2001. I had studied as a computer engineer for 4 years in China. But I could not find a job in Canada. I worked at McDonalds, Meatland Foods and at Grant Memorial Baptist Church. Do you have a spirituality? I believe in Jesus Christ. He is my Saviour. I try to follow God. When did you begin to experience schizophrenia? In 2004. I didn’t know what it was. I now know what it is. I began to hear voices that normal people do not hear. I thought I heard the voice of God telling me to write down my journey. The voice told me that I was the third story of the Bible. That I was like the second coming of Jesus. I was to save people from a space alien attack. That is why I traveled around the country. I am not sure of all the places I went to. I now know that it was schizophrenia I was suffering from. Why did you do what you did on the bus? I bought a knife at Canadian Tire. I bought it for any emergency for the journey to protect myself from the aliens. I was really scared. I remember cutting off his head. I believed he was an alien. The voices told me to kill him. That he would kill me or others. I do not believe this now. It was totally wrong. It was my fault. I sinned. But it was the schizophrenia. What else do you remember about the incident? I try to forget it. I try to stay busy here. It is painful to think about. I feel nervous. I feel painful. I am embarrassed. It was wrong. Do you understand why people are scared of you? Yes. I don’t think I will ever do it again. I didn’t know at that time I had schizophrenia. Now I do. What would you say to Ms. de Delly and Tim McLean’s family? I am really sorry for what I did. If I could talk to her directly I would do anything for their family. I would ask forgiveness, but I know it would be hard to accept. How has the time been at Selkirk Mental Health Centre? I know that I suffer from schizophrenia. The treatment team gives me a chance to recover, to be normal. I am glad to be taking the medication. Do you think you are getting better? Yes. My thinking is becoming normal. I don’t think weird things. I take my medication, Olanzapine, everyday. I am glad to take it. I don’t have any weird voices any more. How do we know you will take your medication when you get out on your own? I would be glad to be under a treatment order because medication helps me. It is very important. I don’t want to do what I did ever again. How does it make you feel that most people do not think you should get a pass to walk around in Selkirk? Do you understand their fear? I understand people are scared because of my behaviour on the Greyhound bus. I am not at risk for anybody. I don’t believe in aliens. I don’t hear voices. I would call my doctor if I heard voices again. Yes, I understand their fear. Some say the RCMP should have killed you that night. I should have been killed at that time. I still believe that. But I am thankful that the RCMP didn’t. What is schizophrenia? What are you learning? It is hearing voices or having delusions. You don’t know what is real. I need to take medication on time. I also have to have meaningful activity, something to do. I have to learn how to handle stress. Taking my medication. Exercising and doing Bible study with the chaplain here. Do you have side-effects from the medication? Yes. I sleep too much. I feel tired a lot and I have gained some weight. Do you believe you should be under a treatment order? I should be here. I should be under a treatment order. If you ever got out of Selkirk Mental Health Centre, what would you do? I hope to leave one day, but I have to make sure it wouldn’t happen again. That there would be no voices. I would change my name to be anonymous. But I would still be in touch with my doctor. What do you think of Tim’s Law that any mentally insane person who kills someone would never be released? I don’t think so, that that should happen. Mental illness is an illness. It is treatable. My schizophrenia is not the real me, but it is an illness. How would you know you were getting sick again? Hearing voices, stopping my medication, and starting to believe in aliens. God would not tell me to do something bad. How do you feel about what you are reading in the newspapers? I don’t read the papers because I don’t want to be reminded of what happened on the Greyhound bus because it was so bad and wrong. No. I can never forget the Greyhound bus. I would like to say to Tim McLean’s mother I am sorry for killing your son. I am sorry for the pain I have caused. I wished I could reduce that pain. "As we ended the interview, I could see the moisture in Mr. Li’s eyes. It is remarkable the insight Mr. Li has. "It is even more remarkable the positive effects of the medication. Up to 25 per cent of people who will have a psychotic break with reality will never experience another psychotic episode. "Up to 65 per cent will experience a degree of recovery in order to live a meaning life. Ten per cent will take their life by suicide due to the losses associated with schizophrenia. "Of the 300,000 people in Canada who live with some form of schizophrenia, the vast majority lead quiet, law abiding lives hoping for some quality of life. People living with schizophrenia are more likely to be victims of violence rather than being perpetrators of violence. "Schizophrenia is treatable. Recovery is possible."